Native Fashion Now—Last chance to catch the splendid summer exhibition celebrating more than 70 indigenous designers from across the United States and Canada. Case Work: Studies in Form, Space & Construction by Brad Cloepfil/Allied Works Architecture—Take one more look at this intricate installation exploring the sculptures and drawings of the celebrated Portland architect and his firm. The annual Employee Art Show (September 1–4) is an opportunity for Museum employees to showcase their artistic talents. For the first time, works will be on view, and available for purchase at the Rental Sales Gallery. Celebrate the art of Coast Salish Weaving with the opening of Restoring the Breath—Sacred Relationship in the Center for Contemporary Native Art, and join us for weaving demonstrations on Saturday, September 3 from noon – 3:00 p.m. 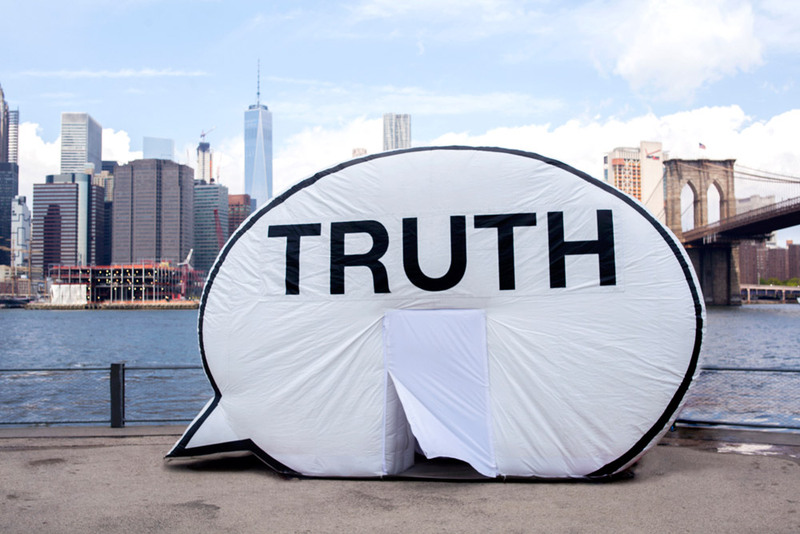 Participate in the traveling Truth Booth project on Saturday, September 3 from 11:00 a.m. – 5:00 p.m.